Here in Romania, David and I spend a lot of time together. A LOT. More than we ever have. And while being joined at the hip has its challenges, we also have had the opportunity to collaborate professionally on a few projects. 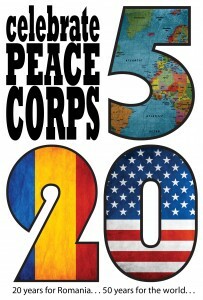 Awhile ago, when we were a part of the 20/50 Peace Corps project team in Romania, we developed a logo together for the project. I had a creative idea in my head and some inspiration from a fellow Volunteer. David with his mad photoshop and illustrator skills perfected it and made it a reality. We even came up with the little slogan that accompanies it. Although few realized that we were the minds behind the logo, we took pride when we saw it 5 feet tall on a banner near the Habitat for Humanity build site. 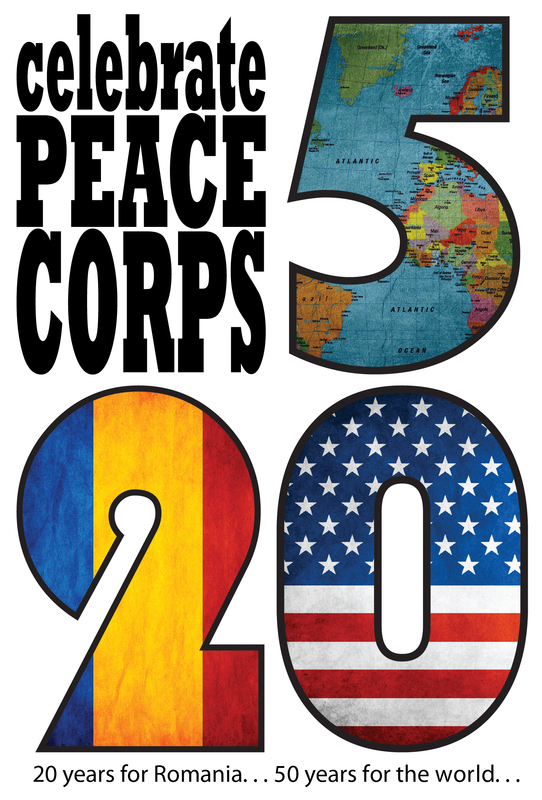 Now as Peace Corps closes the post in Romania, we have a bunch of legacy projects going on — projects that focus on sustainability and celebrating the partnership between Peace Corps and Romanians across the years past. There was a call for logo ideas. I thought about it for awhile and talked to David. Our original idea had been to design a stampila (stamp) as everything official in Romania is stampila-ed. But doing something that monochromatic was tougher than we thought. So we thought about making something that looked like a patch. That morphed into what’s here. He used my handwriting for it. How cool is that? We’re still not completely satisfied with it, but it’s a good start!